Stompbox-sized instrument wireless system featuring plug-and-play operation, rugged metal construction, high-quality audio, up to 130’ line-of-site range, and professional I/O. 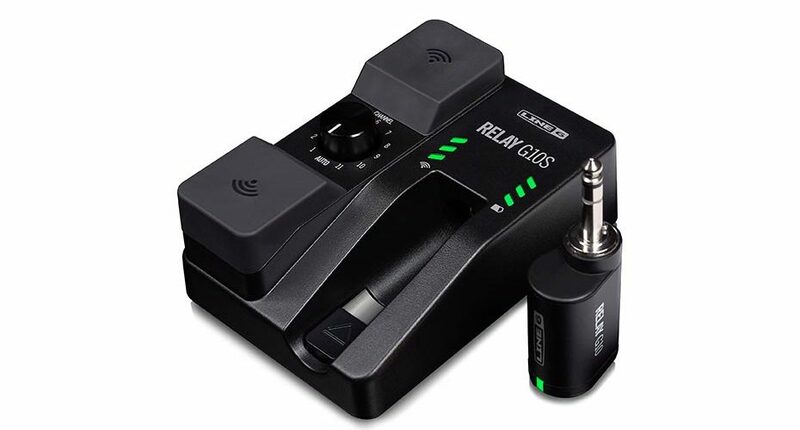 CALABASAS, Calif. — January 24, 2019 — Line 6, the market leader in digital wireless for guitar, today introduced Relay® G10S, a compact-yet-powerful, easy-to-use instrument wireless system designed to be mounted on a pedalboard. 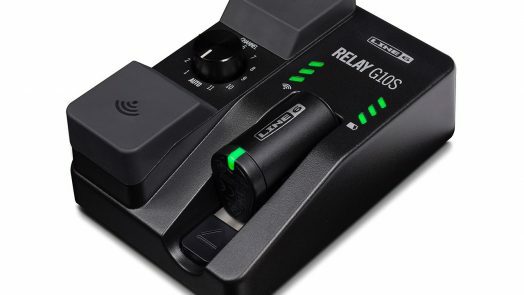 The Relay G10S wireless system is the newest member of the #1 selling Relay Wireless Family of products, long embraced by professionals for their reliability and transparent sound. The unit offers up to 130’ line-of-site range, enough to cover the largest of stages, and delivers crystal-clear 24-bit lossless digital sound quality, providing accurate signal reproduction that’s free from dropouts and interference. 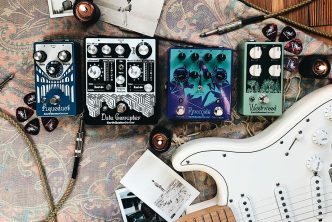 With its stompbox design, the Relay G10S wireless system integrates seamlessly into a guitar or bass effects pedalboard, but it also excels as a standalone unit. Encased in a rugged metal housing, the G10S is built to withstand the rigors of gigging, and is significantly more durable than plastic-housed receivers. Getting the Relay G10S up and running is as easy as turning it on—there’s no need to manually select frequencies. Thanks to its intelligent setup features, the unit immediately locates and locks onto the strongest available wireless frequency as soon as the transmitter is docked in the receiver. It’s that simple. 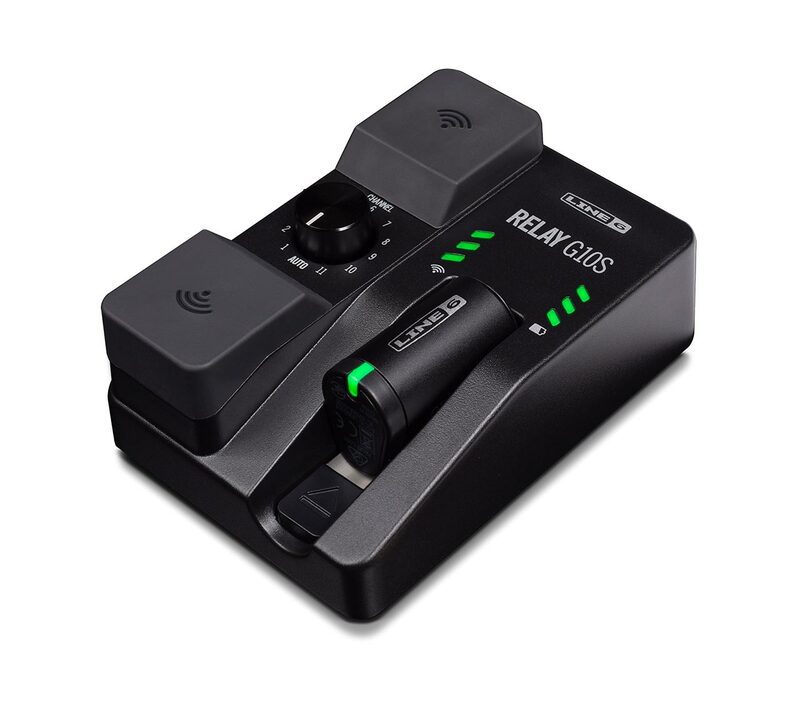 The Relay G10S receiver is equipped with with highly visible RF and Battery Life indicators on its face, providing the user with constant visual monitoring of system status. 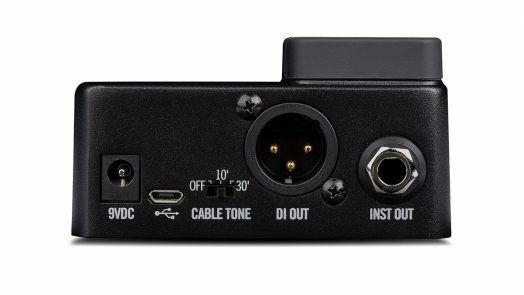 The receiver sports a convenient 9-volt DC power input, making it compatible with standard pedalboard power supplies, but also includes an external power supply. The included G10T transmitter runs on a rechargeable battery that lasts for eight hours. The unit automatically enters sleep mode when there’s no signal present, significantly extending battery life between charges. When it is time to recharge, plugging the G10T into the Relay G10S automatically initiates the process. 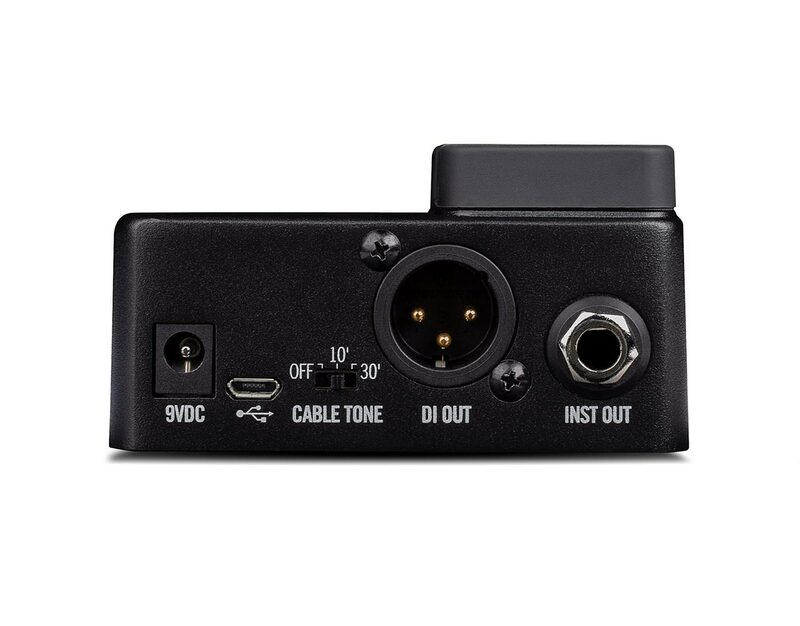 The Relay G10S provides two separate outputs: a 1/4″ jack for connecting it to an amp or pedalboard and an XLR DI output, which can be used to connect instruments like acoustic guitars and basses directly to the P.A. system. For over two decades, Line 6 has created products that empower modern musicians to create, perform, and record in ways they never thought possible. Line 6 products are feature-rich, easy to use, and leverage groundbreaking digital technology that inspires musicians to achieve their full creative potential. With a long history of firsts, Line 6 has a proven track record of creating category-defining products—from the first modeling amplifier to the POD® modeler, Spider® line of amps, Variax® guitars, Relay® digital wireless systems, AMPLIFi® amps, and more. 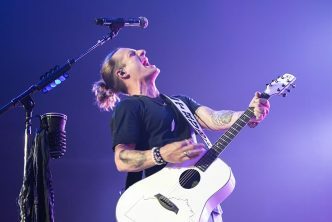 Recently, the Line 6 Helix® family of guitar processors have received numerous accolades and awards, including the Guitar World “Platinum Award”, the Premier Guitar “Premier Gear Award”, and the Guitar Player “Editors’ Pick” award. 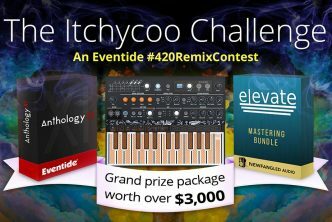 For more information, visit line6.com.